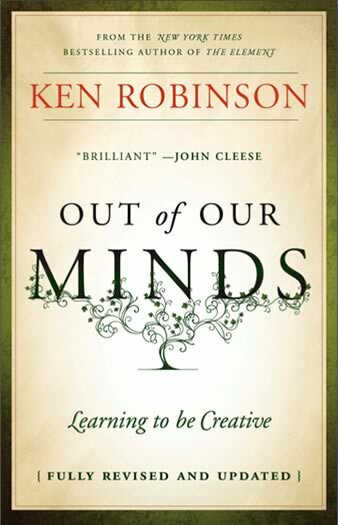 Sir Ken Robinson became a household name when his first TED Video went viral on the internet and social networks. His second video made the same viral impact. Reading his book was in my agenda for a while and when the completely new edition of his Best seller “Out of Our Minds” came out, it was time to feel his writing. The new edition is said to be a totally new book as he rewrote it to meet with the challenges and innovations that has happened since he released his first edition in 1999. I have not read the earlier book, but with the references made within the book there is much discussion on what is current. One Caution for those who have not read him before is that his book is not completely like his talk. It is a nice read but at times it can get slightly academic (at least for me) and my brain start failing me to keep up with the facts. He has given an excellent over view of the concept of education taking us through the public education systems and the emergence of alternative education streams. He also blends creativity and education and explains in detail his point of view that he entertainingly referenced in his talks. If you are a Ken Fan you should read this. I recommend, it will surely get you out of your minds. Hi Vinu – thanks for the tip I will add this to my list. If you have not ready John Holt I strongly recommend him. Also about education. Well, I’m madly searching for Out of our minds. From where did you get it? Is Indian edition of this book out in market?